Several manufacturers have been perfecting this technology for years. Dominated by Hunter Douglas and Somfy... Available as battery powered, plug-in power and A/C 110 volt...which is usually pre-wired during construction. Several manufacturers have been perfecting this technology - with improved reliability, function and price - for the past 5 years. 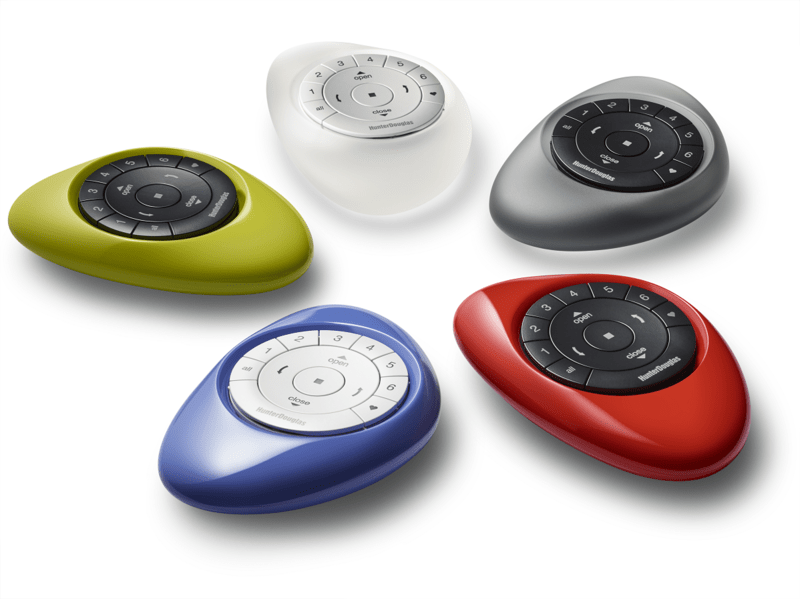 Among them are Somfy, Hunter Douglas, and Silentgliss of Germany for complete home automation. Kim of Viewpoint Interiors has attended several seminars focused on motorization, and is an "expert" Certified Somfy Motorization Dealer, as well as versed in Hunter Douglas' PowerRise® with Platinum™ Technology. AC 120 volt which is sometimes direct-wired and pre-planned during construction. Or it can be simply plugged into an outlet. D.C. low voltage which can also be direct-wired (often hidden wires) or less obvious small exposed wires. Battery Operation - the most popular - which can be less expensive and easier to install but with some limitations. Today's battery systems can give you up to 5 years function per set of batteries if the system is operated only minimally. Most people get 2-3 years function from a set of batteries. Size and weight of the blind or shade is limited. We have found that Lithium batteries hold up best in the extreme temperatures that develop in windows and skylights. Blinds are usually a tilt only function.